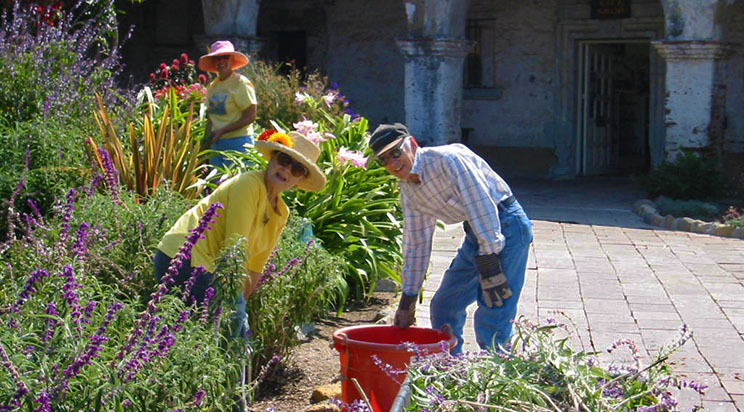 Thanks to the committed efforts of the Gardening Angels, the gardens of Mission San Juan Capistrano have undergone a remarkable transformation. 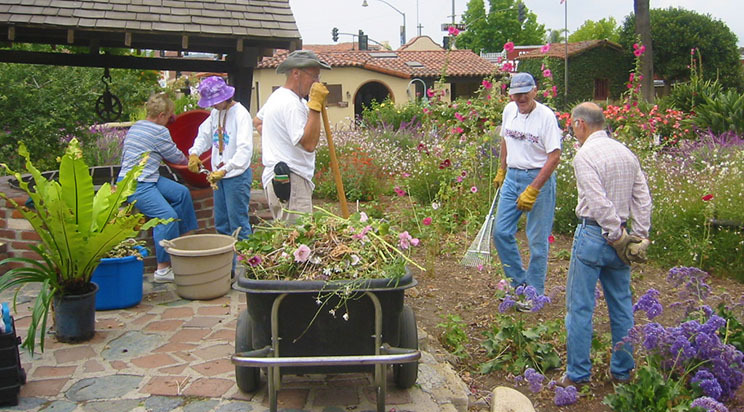 When the group was formed, the Mission grounds desperately needed help. There were struggling rose bushes and dusty clumps of birds of paradise, but mostly there was bare earth. Now there are well-tended roses, perennials, herbs, succulents, flowering shrubs and hollyhocks in abundance. The grounds have become the work of passionate, skilled gardeners, offering plenty of ideas for beautiful plant combinations. Executive Director Mechelle Lawrence-Adams credits the Mission’s volunteer garden club, the Gardening Angels, “for making the Mission’s beautiful gardens elegant.” The 35-member club can be found on the grounds each Wednesday morning pruning, mulching, fertilizing, planting and doing whatever else is necessary to make the Mission gardens look their best for visitors. 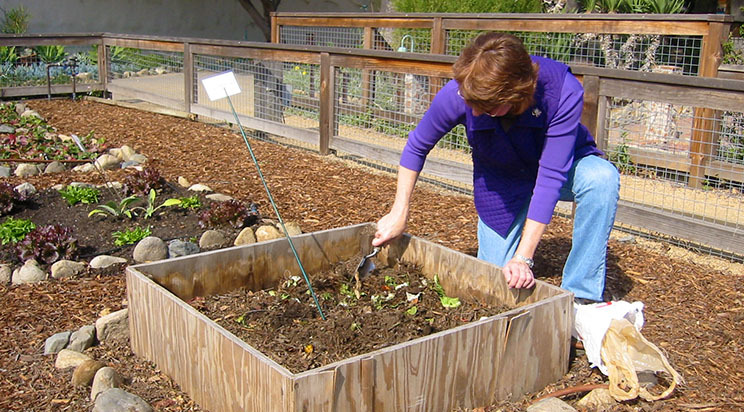 “We think of ourselves as ‘spiffers’ of the Mission gardens,” explains Jan Sorensen, Gardening Angels’ President. 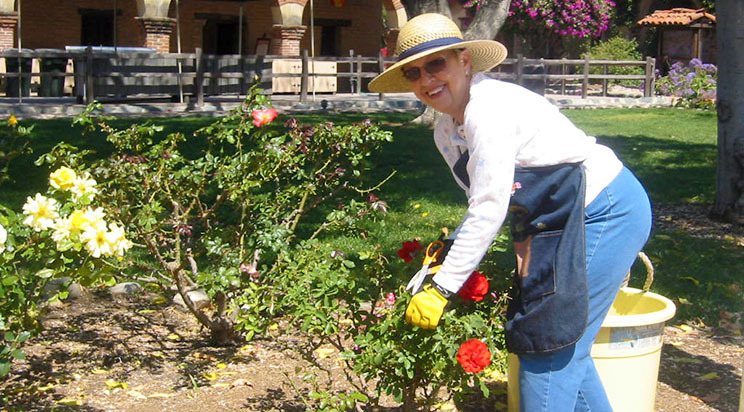 The group’s biggest rewards, she notes, are the many compliments the gardens have received from visitors. 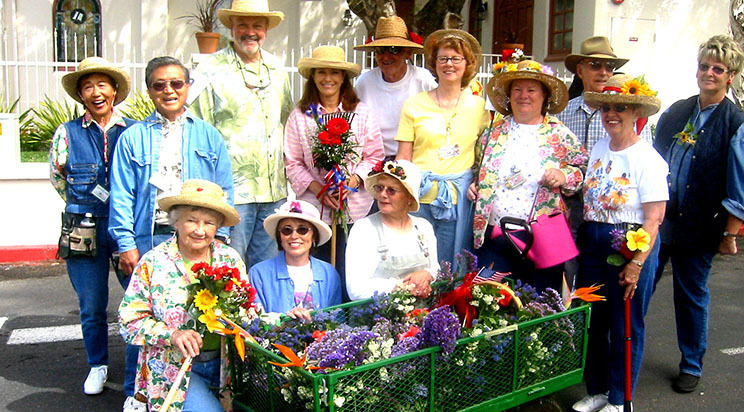 *All Prospective Volunteers Must complete a Volunteer Application and attend a Volunteer Orientation Session prior to joining the Gardening Angels.